LRC Hours: 7:00 a.m. to 3:30 p.m. 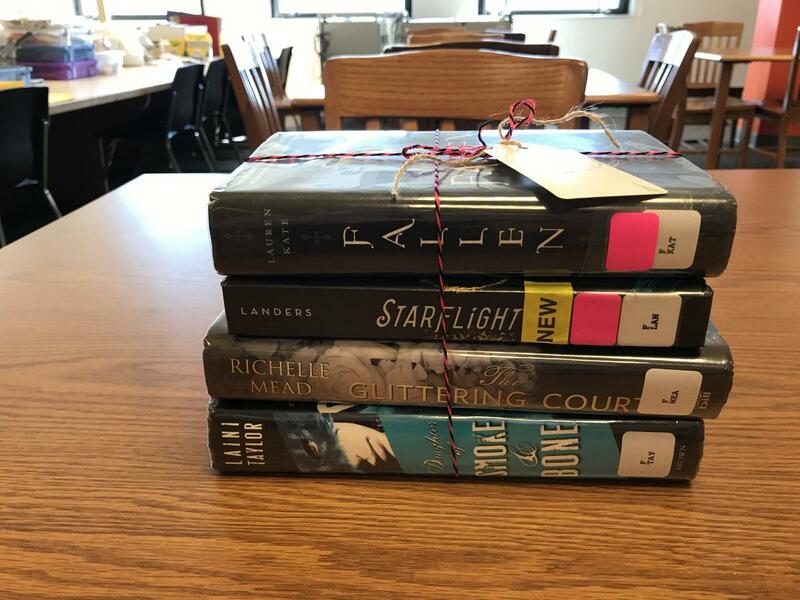 If you have read at least 4 of the 2019 listed titles you can vote for your favorite. 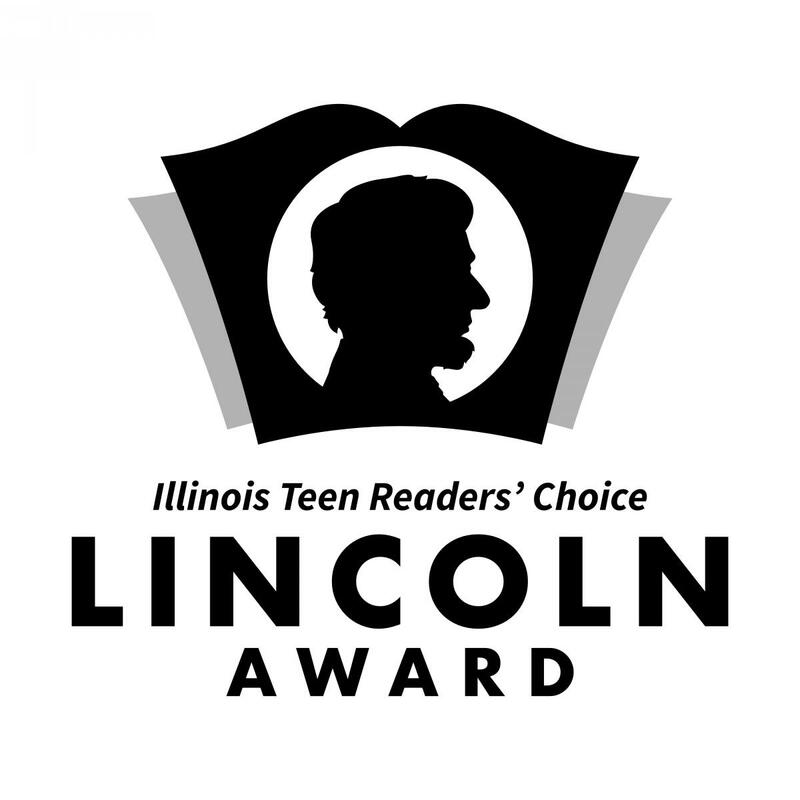 Voting ends March 15th, 2019! The Bookroom provides the students here at East with the required textbooks and novels. We maintain an inventory of over $1 million, and do our best to be fiscally responsible and keep the required inventory of books for each student. Each year, approximately 10% of the inventory is depleted due to lost and damaged books. Each book a student checks out is assigned to that student. It is important for students to make sure they are using, and turning in, the books assigned to them. A Student ID is required to check out books. Students should ALWAYS write their name in the front cover. Please look over the book prior to leaving the bookroom for any damage. Books that are lost or damaged must be paid by the end of the semester. No additional books may be checked out for the next semester (or year) until these obligations are cleared. SENIORS & EARLY GRADS: Diplomas will not be distributed until ALL bookroom obligations are cleared. We are located across from Room B217. If you have any questions or concerns, please contact Deena Ellerbusch (331-228-5575). 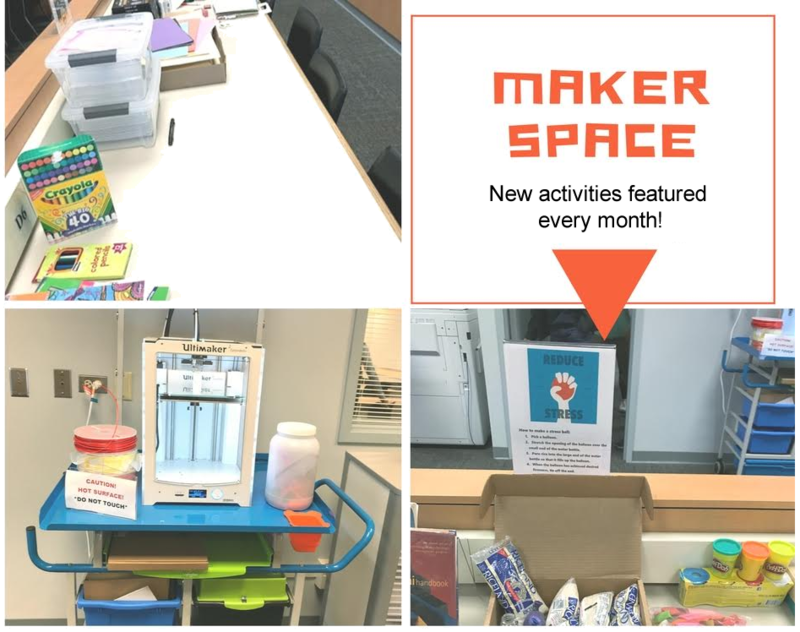 A MakerSpace is a place where students can gather to create, invent, tinker, explore and discover using a variety of tools and materials. Open the entire day! 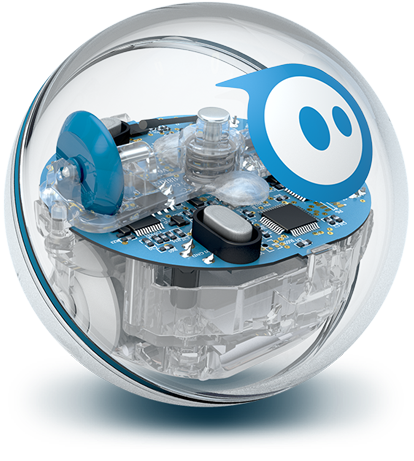 We also have Spheros and Stress Relief Projects! Staff - Are you going on a field trip and want your students to complete online assignments along the way? 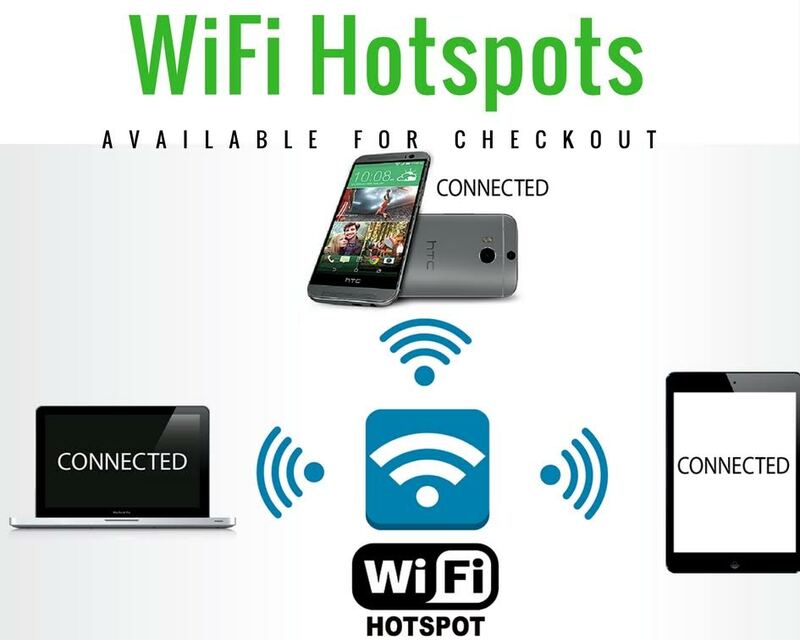 Check out a hotspot - They are available for checkout today! Flat Screen Monitors with HDMI to display materials in all spaces within the LRC! Let Mrs. Pelayo be your personal book shopper! When your choices are ready Mrs. Pelayo will email you to stop by see your choices. Enjoy!